New discoveries drive scientific research forward. And if the latest research goes unseen, opportunities to rely and improve upon that research are missed. Further, knowing the latest trends can influence and drive decision-making. In order to stay on top of those trends you need access to a database with broad, high-quality research coverage and the ability to notify you as soon as that research is available. 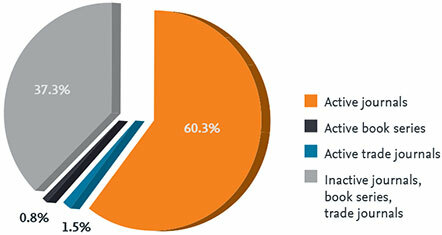 And no other database provides the mixture of coverage and convenience than Scopus. 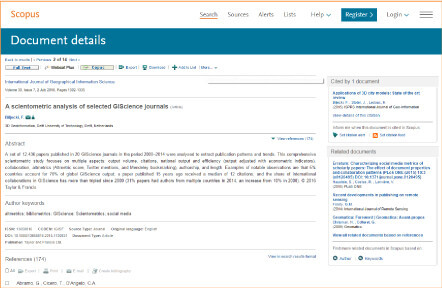 Scopus’s superior coverage of emerging markets gives you access to critical, high-quality research being conducted and published in developing countries (e.g., water purification, malaria, urban air pollution) that you may miss when you search with other databases. Scopus’s user-friendly analytical tools and APIs enable you to further visualize and analyze emerging trends via your preferred websites and applications. Content is updated daily—compared to competitors who only update weekly—and you can set alerts to see exactly when new developments in your field of interest are published.